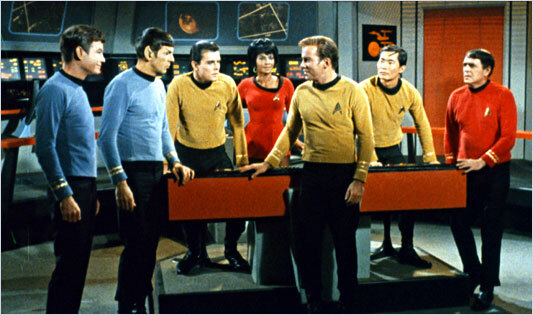 Star Trek has been with us for over 40 years beginning with Star Trek: The Original Series in 1966. Originally cancelled in 1969, Star Trek made a comeback in 1979 with the release of Star Trek: The Motion Picture. Five more movies with the original cast followed between then and 1992 whereupon Star Trek: The Next Generation movies took up the baton with four movie outings. More Star Trek Memorabilia here...On the TV side, Star Trek appeared in five other incarnations - the Animated Series in the mid-1970s, Star Trek: The Next Generation which debuted in 1987, followed by Star Trek: Deep Space Nine, Star Trek: Voyager and most recently Enterprise. New episodes of Star Trek ceased production when Enterprise was cancelled in 2004. 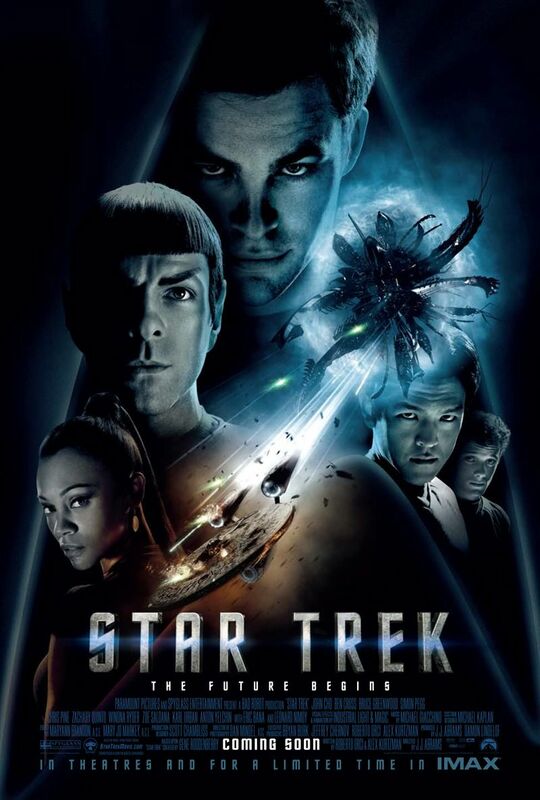 In 2009, the Star Trek franchise witnessed a reboot with the release of the Star Trek XI movie which has engaged a whole new audience. "Not your father's Star Trek" is how one pundit described it and, being somewhat long in the tooth and having grown up with the Original series, it's a comment I agree with. While the movie is a rollicking space-based action flick, it eshews the ethos of the crew using their wits and intelligent subterfuge rather than their phasers to best an enemy (or indeed, show them the error of their ways). Rewriting the timeline so that the events and history of the Original series never happened (or perhaps happened in an alternative universe), the crew are thrown together using ludicrous plot devices. And there are some badly miscast actors in the ensemble (Simon Pegg stands out for a thoroughly irritating Scotty). Anton Yeltsin has an irritating Russian accent (yes, I know he is actually Russian but he speaks perfect English) and is too young for Chekov and smacks of a "Wesley" type character (from Next Gen). While I know many love Zachary Quinto as Spock, I found him less likeable as the character on repeated viewings of the movie. Chris Pine was actually pretty good as Kirk and Karl Urban nailed McCoy expertly. More Star Trek XI here...My impression is that Star Trek XI is aimed at an audience that would get fidgety if there wasn't an explosion or shootout every few minutes. That said, what it does, it does very well (I speak as an action movie afficionado). But Star Trek, when at its best in its original inception, examined complex issues, holding them up to the light in the guise of morality plays, and made its audience think deeply about those issues. It provided a forum to examine social issues of the day, some of which are still relevant even after four and a half decades. All of that was missing from Star Trek XI. Still, while I sound like a damp squib, the pilot of any TV series or franchise has a lot to do in establishing that universe's charcters, their motivations and their environment. And it's wonderful to see Star Trek back after such a long absence. Now that several more movies are planned, hopefully the franchise will get back on track while still appealing to a modern audience. If you're one of those newbies bitten by the Star Trek bug having seen the movie, you could do a lot worse than getting a hold of the remastered editions of the Orginal Series (preferably on Blu-Ray) as they look spectacular and the new effects blend in seamlessly, enhancing the stories and general ambience. More Star Trek DVDs here...It's a pity that high definition versions of The Next Generation, Deep Space Nine or Voyager TV series will never be released. They were shot on video rather than film (unlike the Orginal Series which was shot on film). And video isn't a high-def medium. Enterprise, on the other hand, was shot in high-definition, so I expect it will make an appearance on Blu-Ray at some point in the future. More Star Trek Blu-Rays here...The Future? Meanwhile, if you want to immerse yourself in the Star Trek universe, there's always the recently launched Star Trek Online role playing game.